The astonishing #1 New York Times bestselling novel! the longing. Once Grace and Sam have found each other, they know they must fight to stay together. For Sam, this means a reckoning with his werewolf past. For Grace, it means facing a future that is less and less certain. the loss. Into their world comes a new wolf named Cole, whose past is full of hurt and danger. He is wrestling with his own demons, embracing the life of a wolf while denying the ties of a human. the linger. For Grace, Sam, and Cole, life is a constant struggle between two forces--wolf and human--with love baring its two sides as well. It is harrowing and euphoric, freeing and entrapping, enticing and alarming. As their world falls apart, love is what lingers. But will it be enough? Warning: Contains spoilers for Shiver. Don’t be a dumbass and read the review if you haven’t read Shiver then come crying that omfg I spoiled Shiver for you. I am going to keep this review of Linger, the second in the Wolves of Mercy Falls trilogy by Maggie Stiefvater relatively short. Mainly because I read Linger super fast and didn’t exactly retain it, and also because I don’t have a whole lot to expound about. Okay, so here’s the plot in a nutshell: Not all of Sam and Grace’s problems are solved by Sam becoming ‘cured’ at the end of Shiver. Sam is not accepted by Grace’s parents. Grace is becoming increasingly sick and feverish with no reason why or cure. Plus the wolves infected by Beck need guidance, which automatically falls on Sam. Cole, one of the new wolves, has a secret identity and he can’t control his change at all. Then there’s Isobel Culpepper, the mean girl from the first book who is dealing with the loss of her brother Jack, but learning to let people into her life, people like Grace. Isobel finds herself becoming increasingly attracted to Cole. (Also, I feel as though I need to say ‘As The World Turns’ because my summary sounds like a soap opera). Well, Linger�is quite a change from Shiver�in that we get Isobel and Cole’s perspectives. Both are relatively badass and infinitely more compelling as a couple than Sam and Grace. Their relationship actually logically develops instead of coming out of thin air. Also, they aren’t the perfect couple or anything. They aren’t boring. They verbally spar, which is fairly awesome. Plus there’s definite heat between them. Like, girl that chemistry wafts off the page. The writing in Linger�is still lovely. It’s definitely the highlight of the book. In one word: scrumptious. There’s a larger danger factor in Linger. Yay. Danger. I mean, with Grace being in trouble and growing a back bone, but also down with the sickness. There is actual urgency, which I like. It’s nice to feel tension while reading. I look forward to reading Forever�and seeing where Stiefvater goes with the story and how it will all resolve in the end. Hopefully some of my questions involving the wolves and if there is a cure or not get answered. 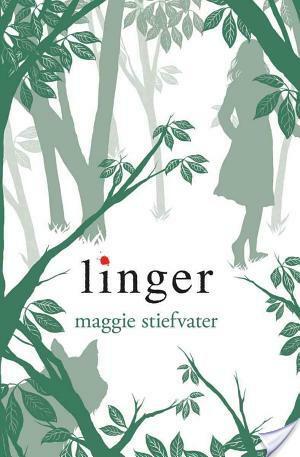 Purchase Linger by Maggie Stiefvater here. *FYI I receive a small commission at no additional cost to you if you buy things from Amazon after clicking link. Agree 100% with all you’ve said, and I think you will enjoy Forever. I found it to be much more similar to Linger than Shiver. More Cole and Isobel, more tension, more danger… all good! I am actually really excited for Forever. I am glad it’s good! I really need to get around to reading Linger, I’ve had it since like last May or June and still haven’t gotten to it. I really should do so soon. Hahaha, yeah I don’t understand people who read reviews of like the third book in a series and expect no spoilers for previous books. What even.